Begin by preheating your oven to 350*. 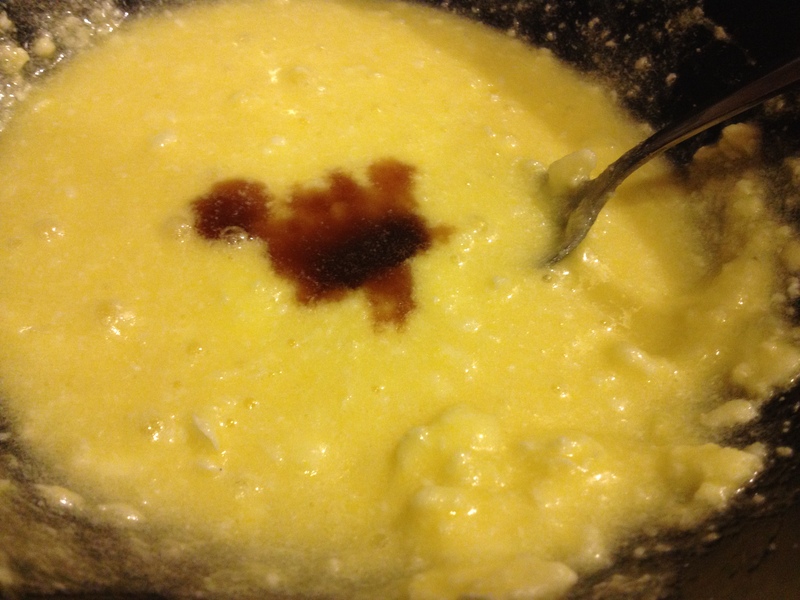 Then, start blending a stick of softened butter/margarine (plus a bit extra) and a cup of sugar together. 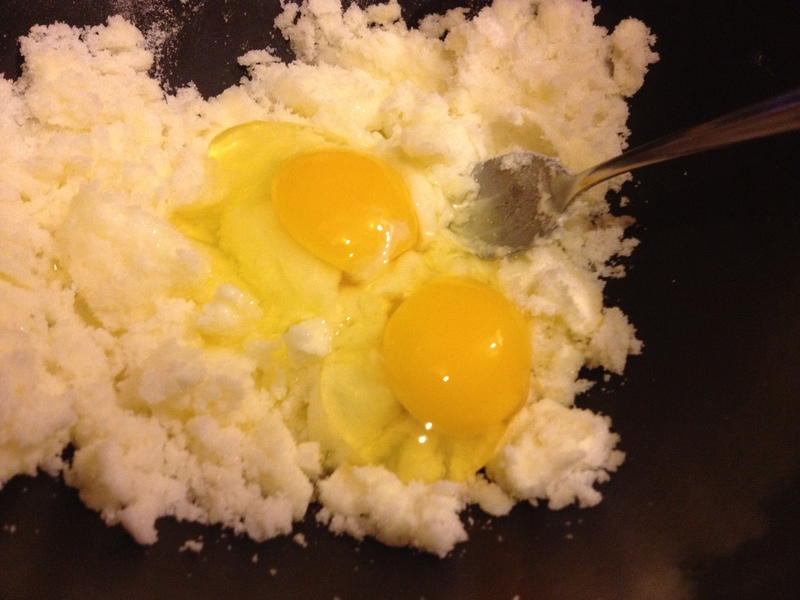 Add two eggs and mix well. 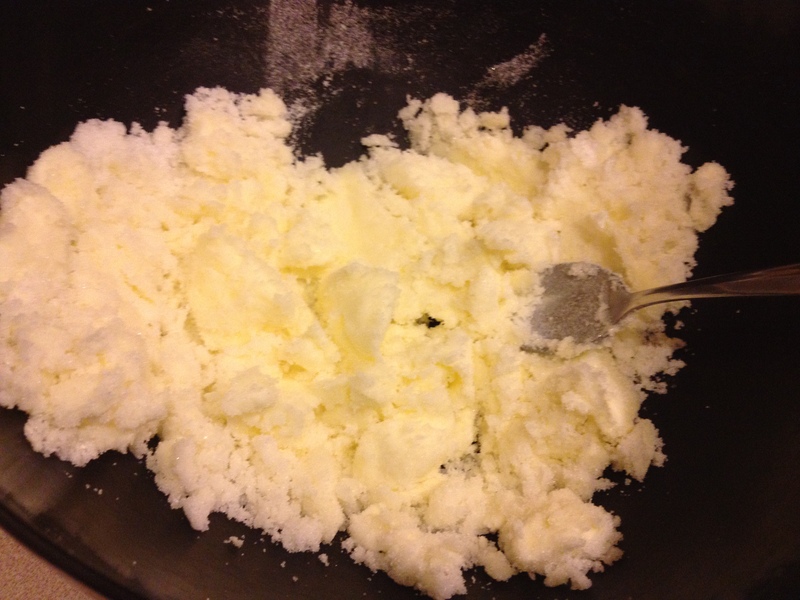 Add 1 tablespoon vanilla and stir together. Flour a surface and take a handful of the dough. 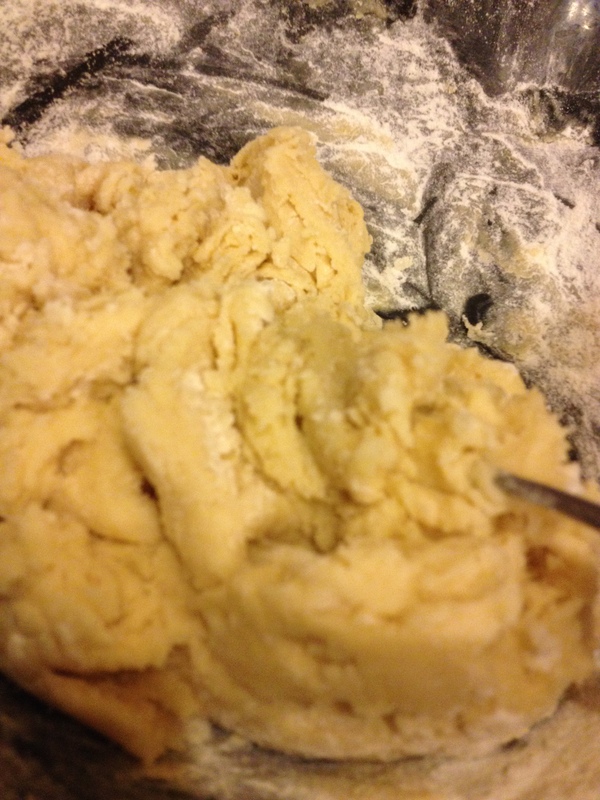 In your hands, add a bit of flour to the dough and knead until less sticky. 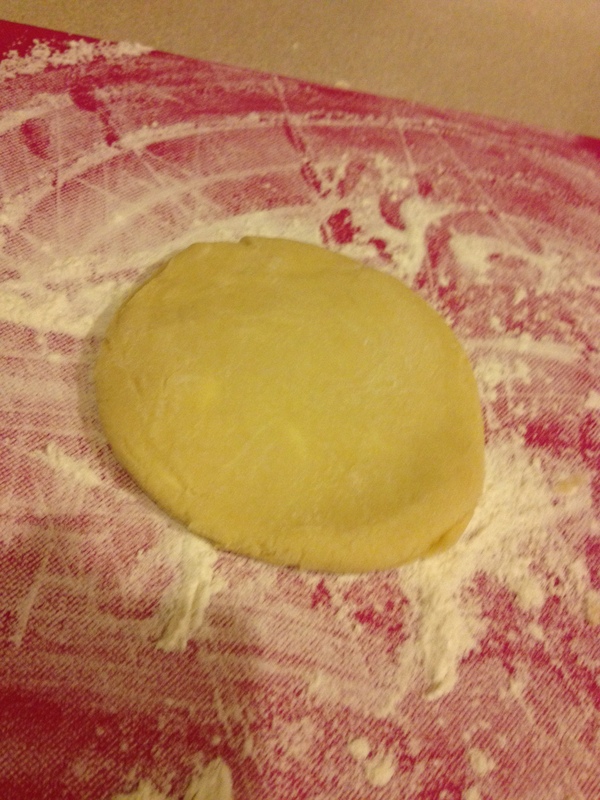 Then, using a floured rolling pin, roll out dough until 1/4 in thick. 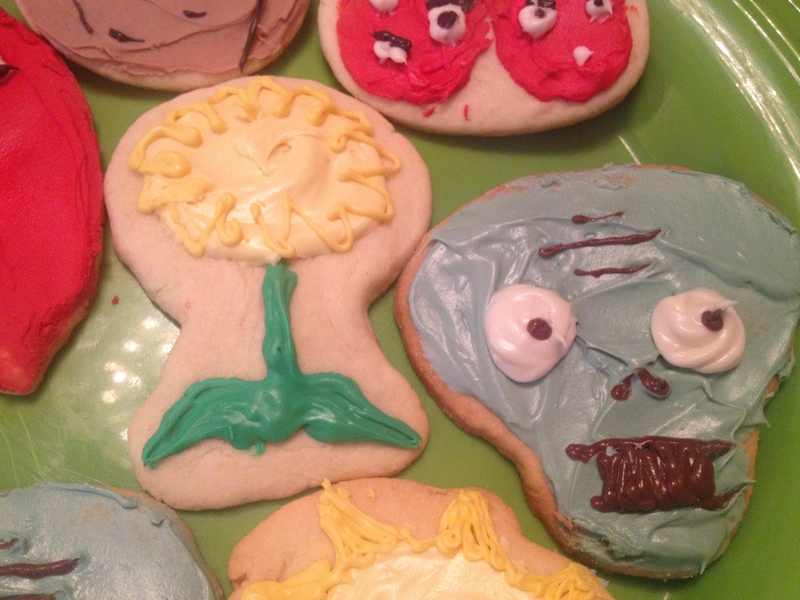 Use a knife or cookie cutters to design your cookies. 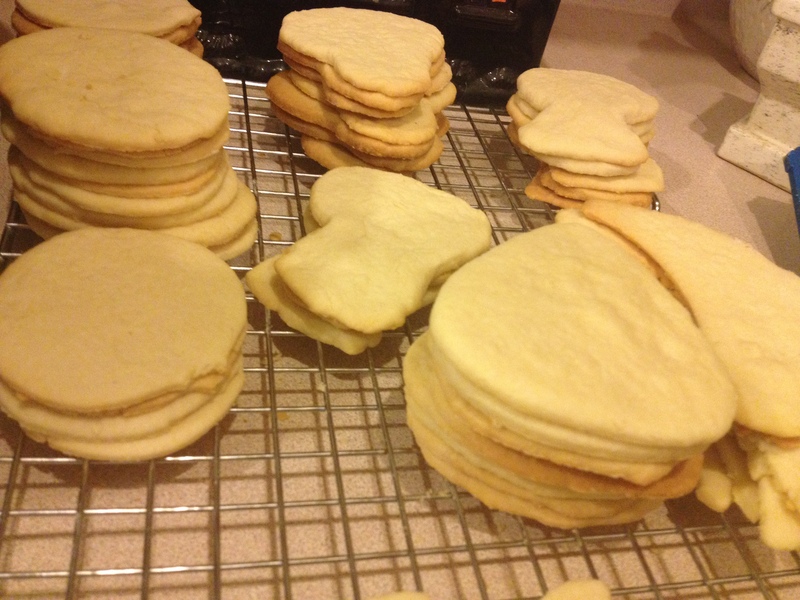 Bake on a greased/wax paper-ed cookie sheet until no longer doughy, about 10 minutes. Makes between 3-4 dozen cookies, depending on the size. Although these are weird shapes, I promise, they were purposeful.